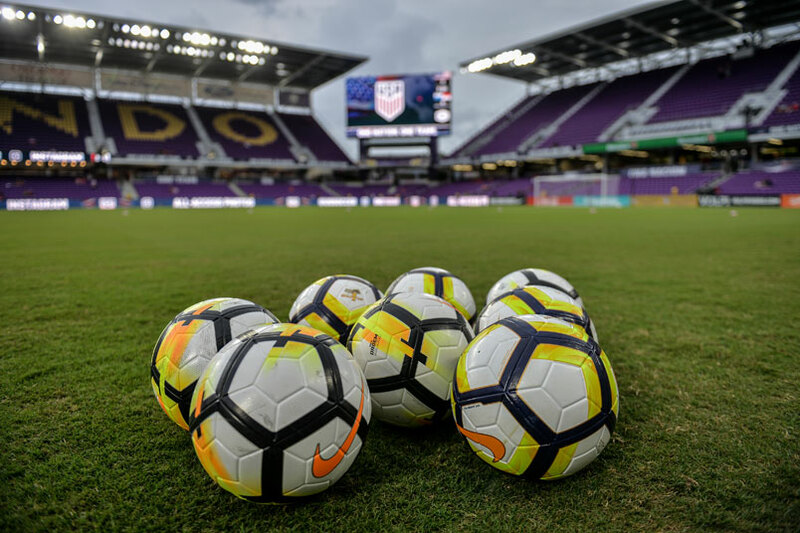 By Charles Boehm – WASHINGTON, DC (Jan 4, 2018) US Soccer Players - After a mostly disappointing 2017, many USMNT fans have turned their focus towards the youth movement that’s widely expected to unfold under the next coach. Interim US Soccer coach Dave Sarachan already gave a glimpse of what that might look like with the squad called in for November’s friendly vs Portugal. That promising 1-1 draw featured fresh faces like Weston McKennie, Tyler Adams, and Cameron Carter-Vickers. 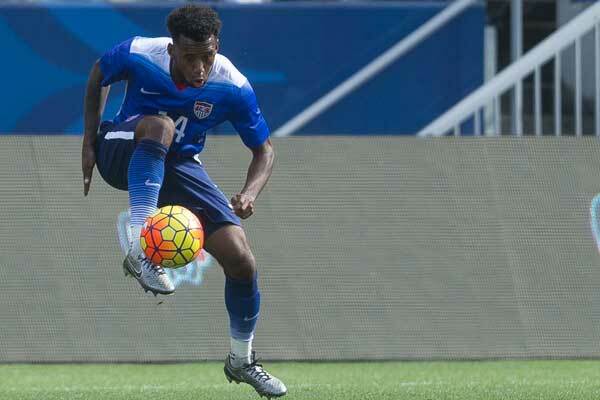 Even U-17 standout Josh Sargent got a call to take part in the week’s training. That Portugal camp did not include one of the fastest-rising young stars in the USMNT player pool, Monterrey’s standout holding midfielder and dual-eligible Mexican-American Jonathan Gonzalez. At the time some surmised that Gonzalez had been left out to focus on the stretch run of the Liga MX Apertura. Los Rayados finished in first place in the regular-season standings before making a run to the championship final. However, in a Q&A with Soccer America’s Mike Woitalla published last week, the 18-year-old Californian revealed that he “just wasn’t called in” for that occasion despite his outstanding efforts as a starter for one of Mexico’s top clubs. Now it seems El Tri’s leadership sees an opportunity to peel him away. Reports suggest that Mexico may look to test his loyalty to the US as early as this month, by calling him in for their friendly vs Bosnia & Herzegovina on January 31, and maybe even offering him a chance to make their 2018 World Cup roster. No one outside his inner circle really knows what Gonzalez is thinking and feeling right now. Still, these developments have already sparked panic in some quarters of the USMNT fanbase. That's not surprising given the wider context in which the program finds itself. The thing is, it’s hardly a new phenomenon. That’s the most frustrating part for longtime observers. The fierce competition for dual-eligible Latino players in the US is well documented in recent years. It certainly hasn’t escaped US Soccer’s notice, and we can point to plenty of those type of talents who became committed members of the USMNT pool. Yet lingering doubts remain about whether the federation – and the nation’s incumbent player development establishment at large – is truly connecting with Latino communities. The fears of losing a prospect like Gonzalez fuel these nagging uncertainties. We don’t know what we don’t know, as the saying goes. That leaves many of us on the outside wondering who, if anyone, is in charge of this outreach process and how they’re going about it. Mexican soccer scouts boast of their sweeping reach across the diaspora via many layers of informal networks. Even with dual-national recruitment an ongoing theme for decades, can the US say the same on the Latino front? Youth technical director Tab Ramos is versed in this landscape. His former colleague Perez was one of the first to spot Gonzalez, along with several other bright Mexican-American prospects. Since Perez’s departure from the USYNT coaching staff three years ago, however, it’s been difficult to see a clearly demarcated point person in the trenches making the case for the US. Now Mexico is assiduously courting Gonzalez, while the US at least don’t appear to be doing anywhere near as much of it at present. Are El Tri late arrivals, or are their northern neighbors not following through to the finish? “We [the US] have been late to the party numerous times and have gotten players,” said former USMNTer turned ESPN analyst Herculez Gomez, himself a dual-eligible, this week. “So it's fair game when it comes to this. The question is, what does Jona want to do? ... FMF [the Mexican federation] does a phenomenal job of recruiting Mexican-American talent in the United States. They see value in that player. … US Soccer, they see value in that player when OTHERS see value in him. It’s very difficult for those of us who are not dual nationals to see things through their eyes, to feel what they feel. In many ways they live in two worlds, pulled in multiple directions by a complex cocktail of cultural influences and circumstances. They’re at the center of an ongoing conversation, one in which US Soccer remains disturbingly quiet most of the time. Gonzalez, like Gomez before him, can credit the US system for helping him along the path to a professional career. Mexico provided the finishing school for both. Gonzalez left home at age 14 to join Monterrey’s academy and got a chance to earn a first-team spot that many of his counterparts in MLS just don’t get at age 18. That would seem to contradict Bruce Arena’s insistence in November that “all the talented players are involved in our systems,” that no promising prospects fall through the cracks in the United States’ chaotic youth environment. Those words clanged as he delivered them in a Fox TV studio during coverage of the Portugal friendly. Even after his departure from the USMNT, they add to the uncertainty and unease around this topic. Should the worst-case scenario unfold, Sarachan could wind up the scapegoat for not calling Gonzalez up in the Fall. It would hardly be his fault alone. We don’t know what we don’t know. It’s taking a toll that may take years to comprehend.